Someone in the UK has a heart attack every 5 minutes. What price can you put on someone’s life? Voice prompts can adjust up to 90dB, so it can always be heard easily in noisy environments. The same set of electrode pads for both adults and children. No additional pads required, saving time and expense..
Pad indicator display illustrates PAD life remaining, with verbal instructions to “replace pads” or “connect pads”. Pad compatibility with front line vehicles of the NHS Ambulance Services, streamlines the handover of a patient to advanced care. Set of adult/children electrode pads. 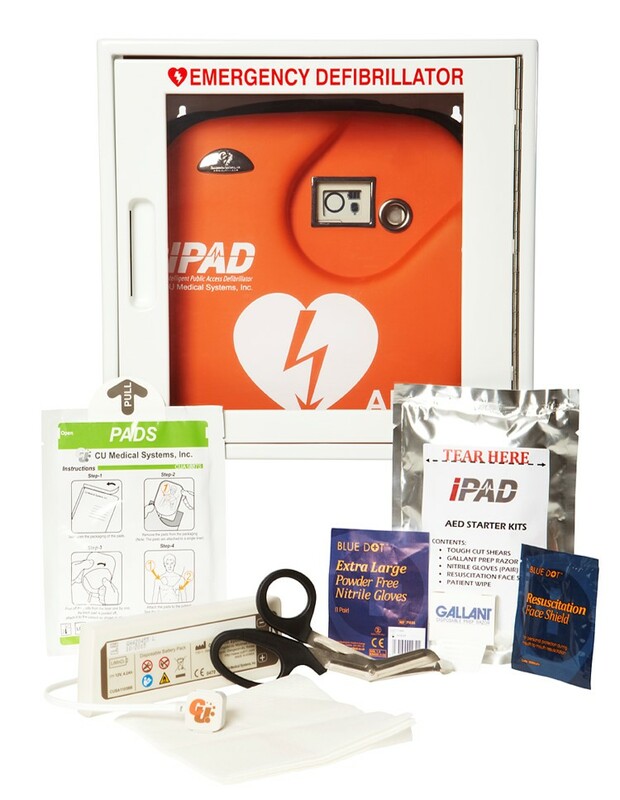 Additional products also available such as Defibrillator accessories, replacement pads, batteries, Internal/external cabinets.